In first grade, it became clear that school was going to be an uphill battle for her. So we pulled her out of the big, mainstream school near our home and put her into a tiny, loving school about a 20-minute drive away. But there was still no diagnosis of any sort. My daughter is a creative, talented, and very smart young girl…and although she met with many challenges in this new school, she thrived personally and she felt comfortable and loved. She remained there for 2nd grade, 3rd grade, and a bit of 4th grade when Hurricane Sandy came to our part of the world and rocked our beachside community to the core. My daughter’s little school was destroyed. Completely. We immediately found another school for her and they graciously accepted my daughter into their midst in a loving way, although very soon after, problems arose. Within three days, the principal realized that my daughter was in need of a psychiatric evaluation. The following months were filled with fear, hopelessness, and helplessness. But eventually, after years of looking for a diagnosis, we finally had one: my beautiful daughter had an anxiety disorder. Her new school announced that they could not keep her as a student and we were once again hunting for school that would fit my daughter’s needs. We homeschooled her for a while, and then she finished up the last few months of the school year in a small school that was quite far from our home. But while she was there, we noticed that our girlie was improving! Slowly, slowly….but steadily. B”H we realized we had finally found the perfect school for her–a school where they have the resources to work with her, and where they truly love her! For the first time since my daughter was born, I feel as thought I am truly partners with a school in educating my child. And that is a wonderful feeling. I believe that Hurricane Sandy came, at least in part, for my daughter. Although my daughter was content in her little beachside school, she was not receiving the treatment she needed there and therefore she was not reaching her potential. Hurricane Sandy brought much devastation, but with it, Hashem also brought peace to our family and opened up a whole new world to my daughter. The author lives in New York with her husband and three children. Great and heartwarming turn of events. 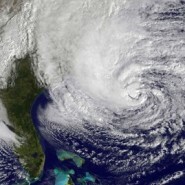 Hurricane Sandy was indeed a whirlwind of devastation…and of miracles. And what chessed and brotherhood it(she?) elicited! This story is great especially when one considers that in saving this one sweet neshameleh, Hashem of course saved an entire world, (as this school did, and as we are chayav to do)-i.e., all subsequent generations she is bound to raise as a future aim beYisrael, not to mention probably having a calming effect on the whole household – quite a valuable “side-effect.’ Is it possible I can find out the name of the wonderful school you discovered for your daughter? I am a special educator in this same location, and want to be informed of the best programs out there so as to benefit others who may be searching as well. You can reply here, or perhaps Chana Jenny can share with you my personal email address. Thanks!